Your pancreas makes an enzyme called lipase. When you eat, lipase is released into your digestive tract to help your intestines break down the fats in the food you’re eating. Lipase also allows cell nutrients and cell waste to move through the walls of the cells in your body. Certain levels of lipase are needed to maintain normal digestive and cell function. Abnormally high levels of the enzyme in your blood can be a sign of a health problem. Enzymes are substances made of protein that help stimulate chemical reactions. By breaking down and helping the body to absorb fat, it does so much more for the body than you would expect — it can naturally help major digestive disorders like celiac disease and serious health conditions like cystic fibrosis. Lipase is often taken in combination with the two other vital enzymes: protease and amylase. 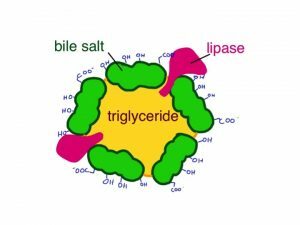 While lipase breaks down fats, protease processes proteins and amylase takes care of carbohydrates. When all of these enzymes are at the proper level in your body, your digestion and overall health can really be optimal. My Remedy shop has a great digestive supplement that contain all three of these enzymes called Digestive Enzymes Ultra http://drdavesemporium.com/digestive-enzymes-lipase/ Check it out and give it a try!